Everyday while in the village of Dahakhani, we would dig. Our volunteer group had the task of digging the base of the water reservoir tank that would hold about 20,000 liters of water for the filtration system. This hole needed to be eight feet deep, and about ten feet wide. When we started, it was just a patch of dirt level with the rest of the ground surrounding it. A typical forecast for the day was somewhere around 100 degrees or higher with humidity like I’ve never encountered. If I had experienced weather like it before, I always had an ice cube dispenser for my water and an air conditioned building to go avoid the heat in. The days were long, and I was using homemade tools that I had never used before. Somehow, the digging was easy. Even though we were all uncomfortable, sweaty, tired and more sore each day that passed - nobody showed it. The spot where the water reservoir tank is located is nestled perfectly up on a hill that overlooks the village of Dahakhani. More importantly, the focal point is the school that holds 500 of the children who would be benefitting from our digging for the rest of their lives and their families' lives. I don’t think there could have been a more motivating scene to dig by. 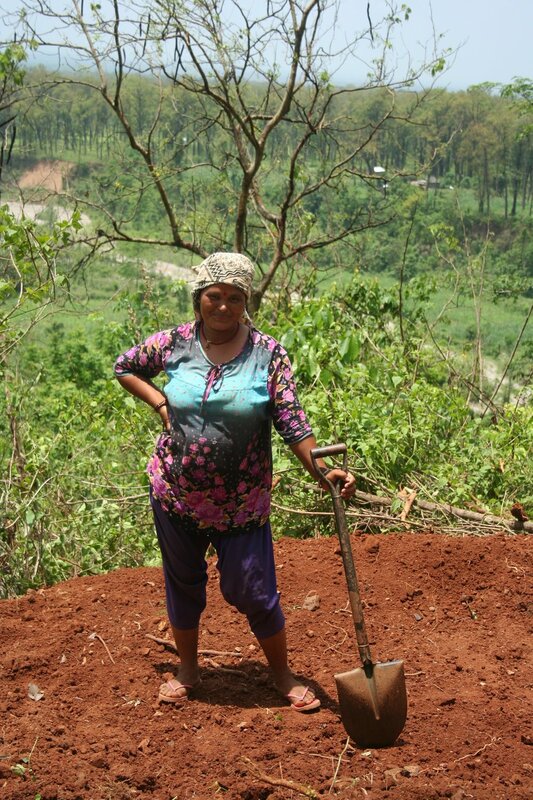 While up on the hill, during one of the many breaks we would take from digging, pick-axing and hoeing, I had the privilege to get to know some of the locals. One conversation in particular, with a woman named Kanchi, will stay with me forever. The question struck me. Various answers to that question flooded through my mind: "Because we can. Because we care. Because you are human beings who are struggling for something as basic as water." 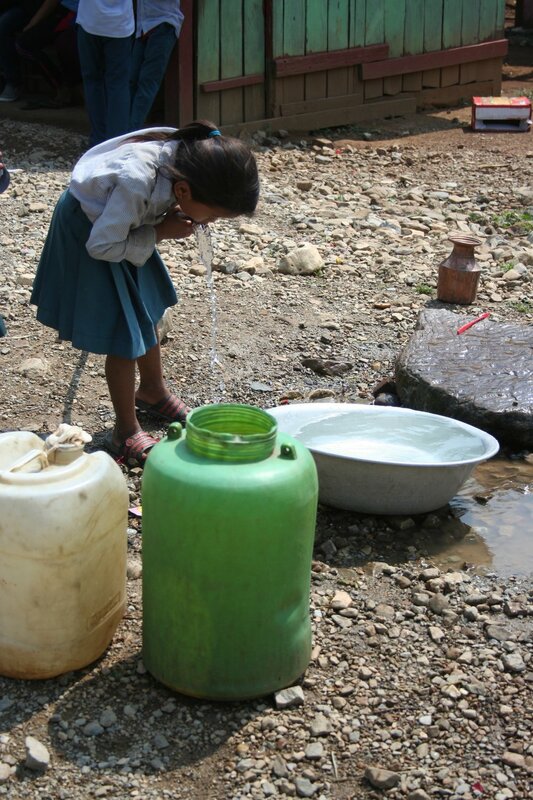 These people are not only struggling for clean water but also for water in general. Kanchi simply did not understand why we would ever want to go into an impoverished village absent of the luxuries we enjoy on a daily basis in America. At one point, she even thought our parents forced us to do this. We then asked her if her neighbor’s children were hungry and she had food for her children, what she would do. As expected, she said she would share. Above that, however, she also said she couldn’t bear to see her neighbor’s kids hungry if there was something she could do about it. We applied the same concept as to why we were in a village in the hills of Nepal halfway across the world in 100 degree heat doing hard labor. It is because Nepal is our neighbor, too.